Do you ever feel like you just need to sit down and take a break? Well, with this Tripod Stool - Large, you can, virtually any time you want! This tripod stool has the distinct advantage of being light-weight and portable, as well as fairly sturdy. The stool is simple in its construction, consisting of three wooden legs that are affixed together so that they can pivot open and closed, forming a triangular base that is perfect for supporting weight. The bottoms are capped to provide a sure, steady base, while the tops of the three wooden supports are connected to a leather triangle that acts as the stools seat, providing a comfortable place to sit when you set the stool up. 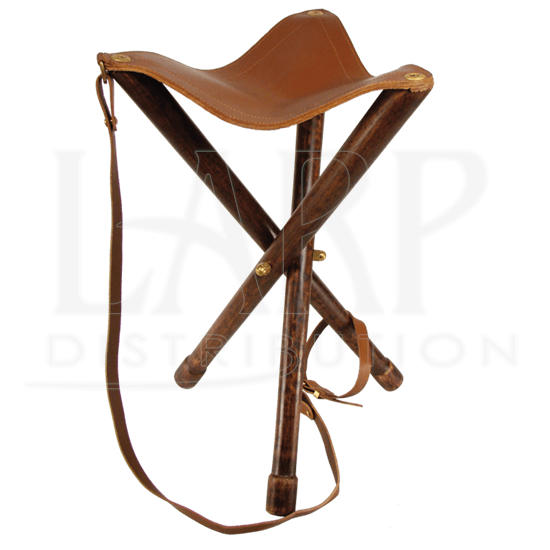 Attached to the stool is a leather strap with a buckled loop at the end, which allows the stool, when bundled up and closed, to be easily carried and transported with you, no matter where you go. This stool is the largest of three sizes, and with a height of approximately 30 inches, it provides you with a sizeable vantage point even when you sit. 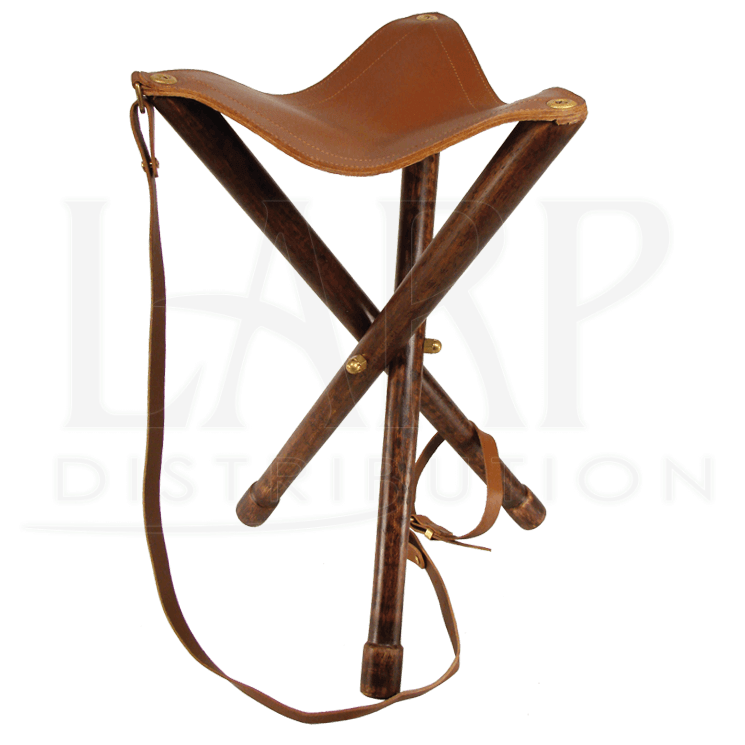 This Tripod Stool - Large is just the item to have when you are planning a camping trip, whether it is a typical excursion or an actual medieval-styled get-together, as it gives you a quick, easy, and comfortable way to sit down, without having to rest yourself on the hard, cold ground.